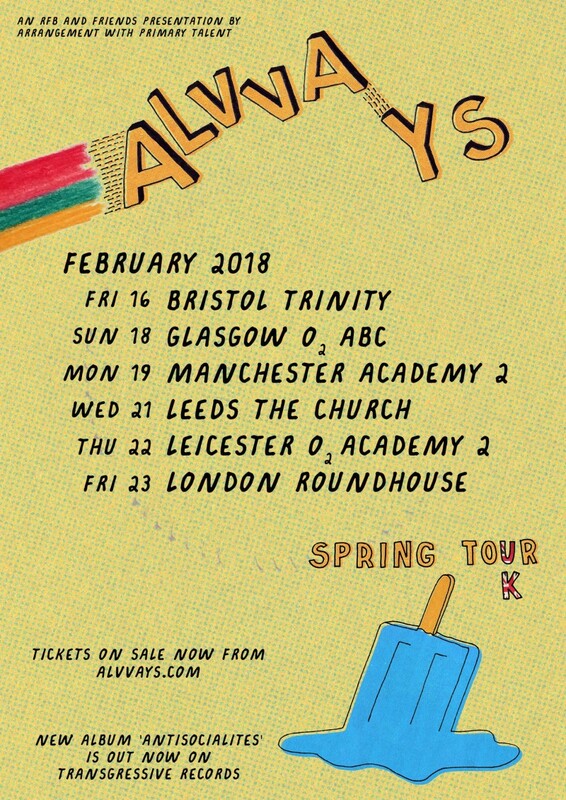 After an incredible UK tour to celebrate the release of their second album Antisocialites, Alvvays have announced that they will be back in February and will be playing shows across the UK and Europe. Tickets are available from the links below. The band's second album entered the UK album charts in the top 30, and saw an incredible reception. If you haven't got a copy yet, the black vinyl, CD, tape and bundles are all available in our shop. "Great songwriting never goes out of style"
"By just subtly tweaking their songwriting process ever so slightly, Alvvays have managed to one-up their 2014 breakthrough record"
"They've wound up in a league of their own"
"There’s no mistaking the quality of the songwriting on their second album... their melodies are timeless"
"Give it time and Antisocialites might be as much of an invaluable map to navigating the quarter-life crisis as Alvvays was. For now, though, it’s just good to have one of the most interesting and fun indie pop bands of the 21st century back"